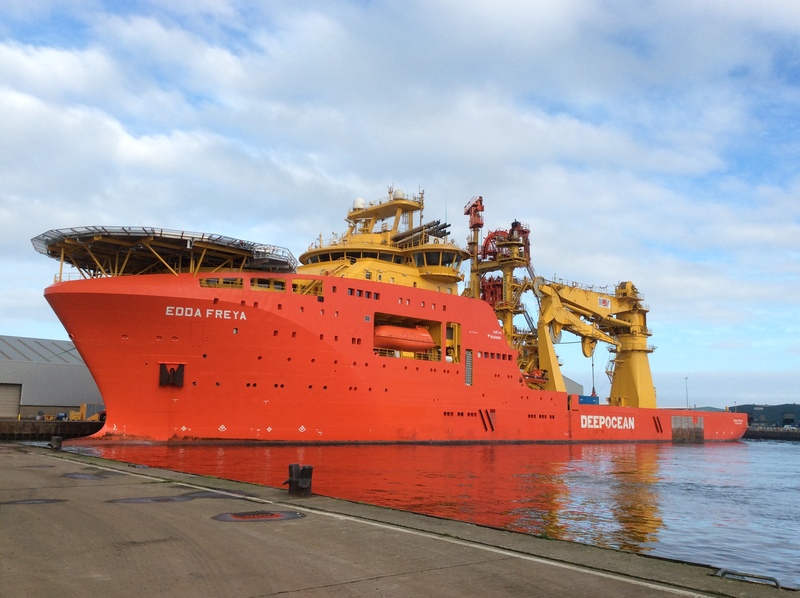 Aberdeen Harbour welcomed the vessel Edda Freya to the port for the first time last week. The vessel, which has a gross tonnage of over 17,000 tonnes, and an overall length of almost 150 metres, is a deep-sea construction vessel and part of the DeepOcean Fleet. Constructed in 2016, the vessel has a massive 2,300 square meters of deck space, and a crane that can lift up to 600 tonnes. Currently on charter to an oil major, this visit was the first of several visits that the vessel will be making to the port in the coming weeks.